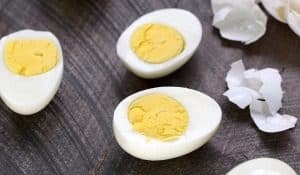 For this month’s Cooking with Astrology “Leo” picnic, I knew that I needed something other than a sandwich for the main course. I want each of these picnic meals to be different and exciting, we will definitely need some variety. 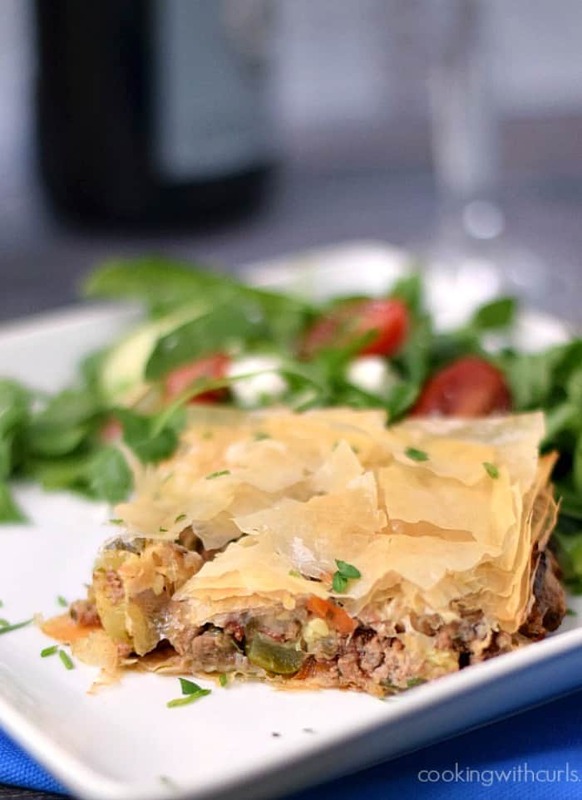 While I was perusing my Greek cookbooks, I came across a recipe for Greek Summery Meat Pie…that will be perfect! 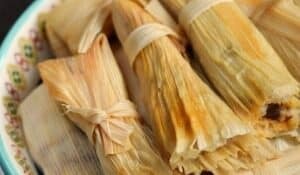 I wanted something light, easy to package and transport, and able to be served at room temperature. I was right, it was perfect…and delicious! 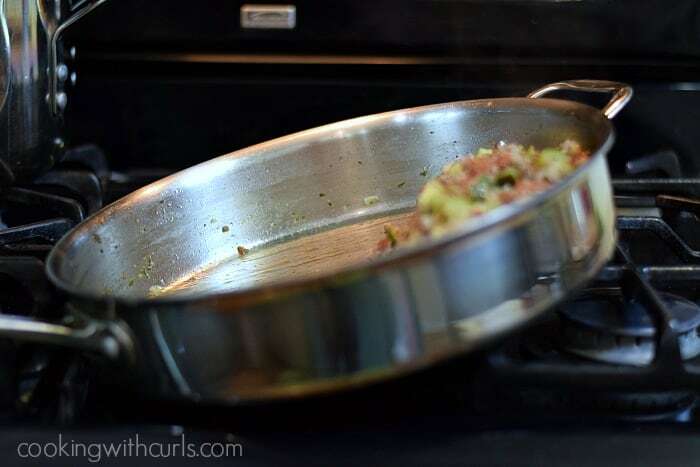 Heat the olive oil in a large skillet over medium heat. 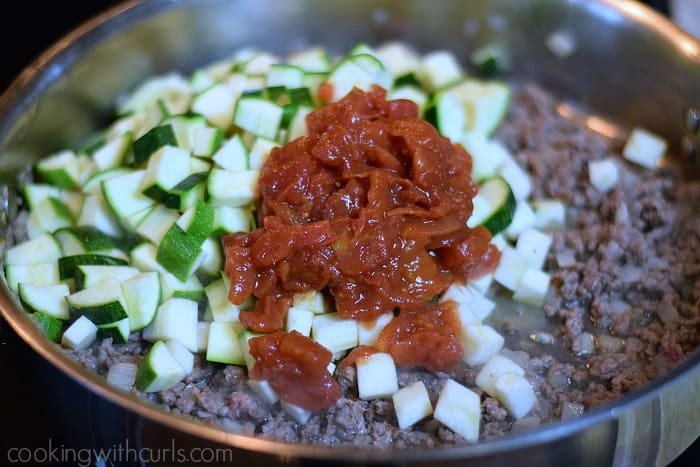 Add the onion and cook for 2 minutes to soften. 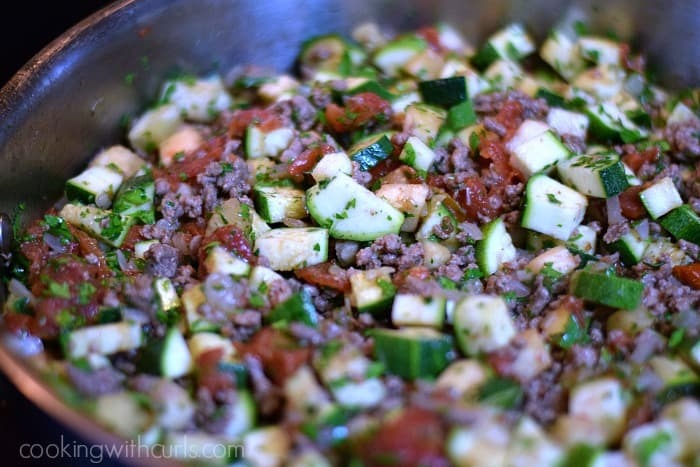 Stir in the ground meat and cook for five minutes…..
Add the eggplant, zucchini, and tomatoes…..
Stir to combine and then stir in the parsley, salt and pepper…..
Cover and cook for 20 minutes. 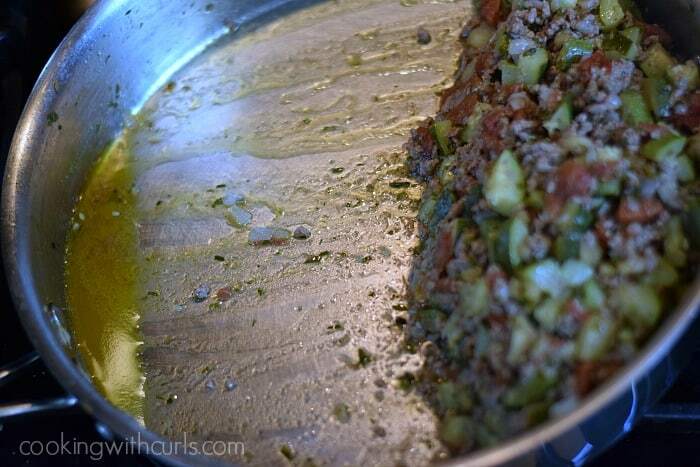 Stir in the coriander and oregano and cook for an additional 10 minutes….. Filling should be relatively dry. If not, drain excess liquid. 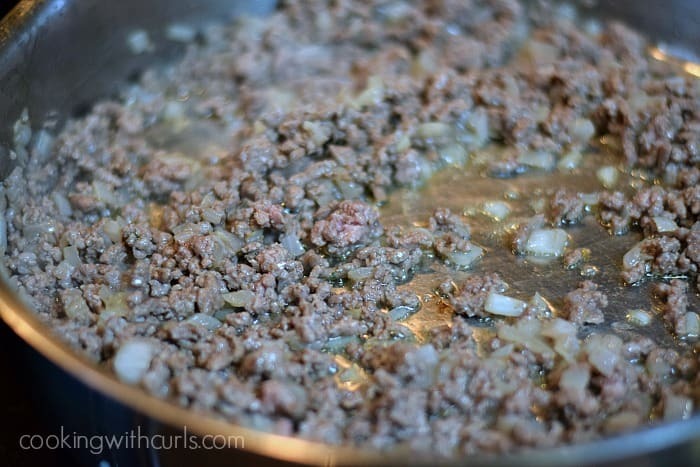 I just tilt the pan between the burners…..
and let the liquid drain to the bottom and remove it with a large spoon…..
Stir in the grated cheese and set aside. Preheat the oven to 350 degrees. 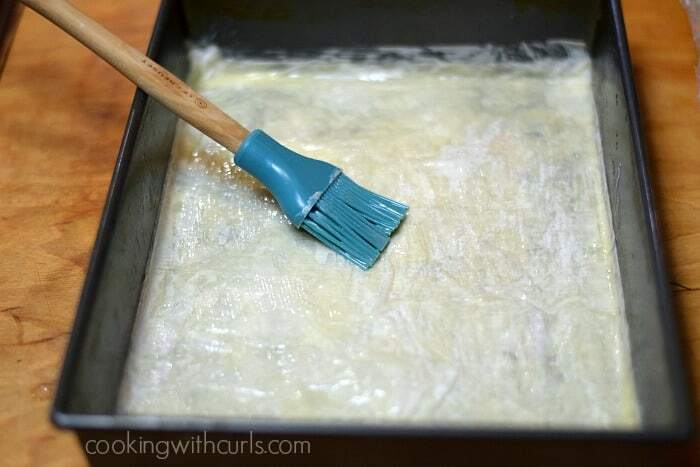 Butter the bottom of a 9 x 13 pan and begin layering 6 sheets of filo dough in the bottom of the pan, brushing each layer with butter as you go….. 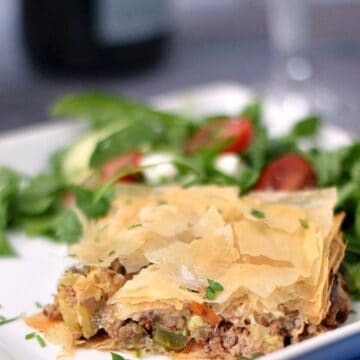 Spread the filling over the filo dough…..
Bake for 35 to 40 minutes, until golden brown and crispy….. I looked for a Greek red wine to serve with this meal, and the guy in the wine department started laughing. 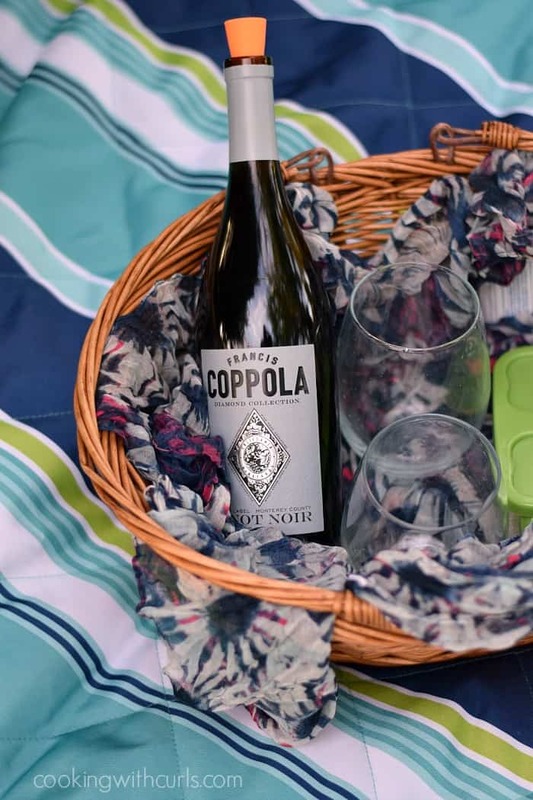 So I went with a Pinot Noir…..
and stemless wine glasses, so they would not fall over. 😉 Not only could I not find Greek wine, but there is no Greek cheese either. I substituted Pecorino Romano for the kefalotyri, use whichever you prefer. 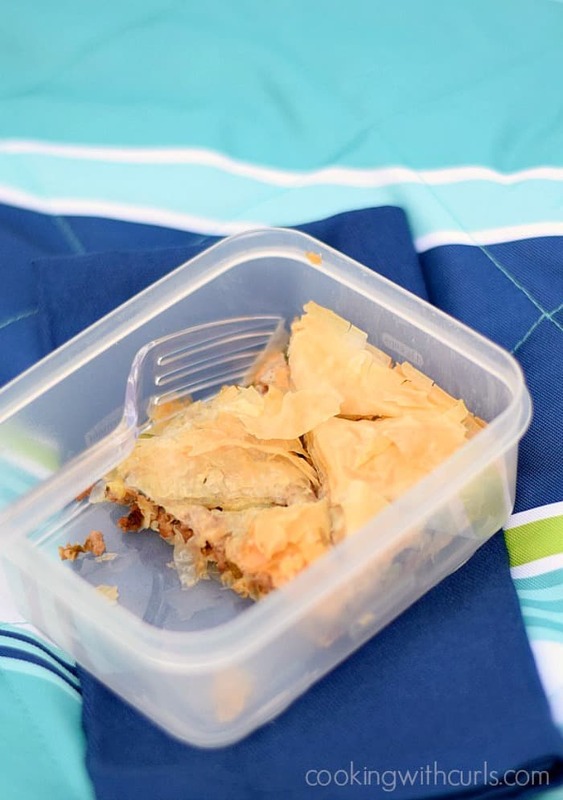 This Greek Summery Meat Pie is a delicious way to use up all of your farmer's market produce, and it transports perfectly in a picnic basket! Heat olive oil in a large skillet over medium heat. Add the onions and cook for 2 minutes. 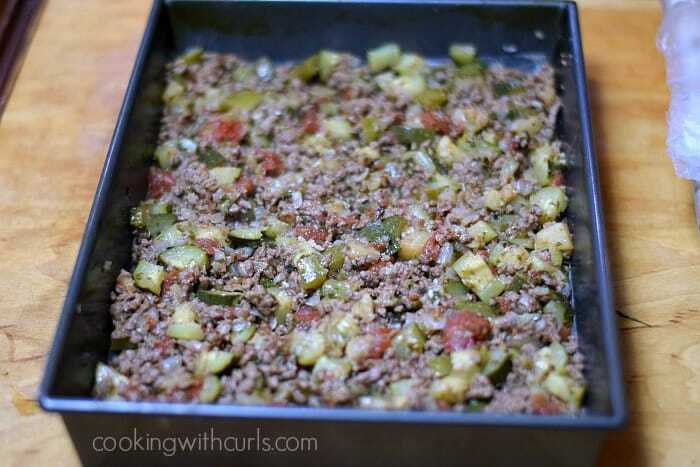 Add the ground lamb and cook for an additional 3 minutes. 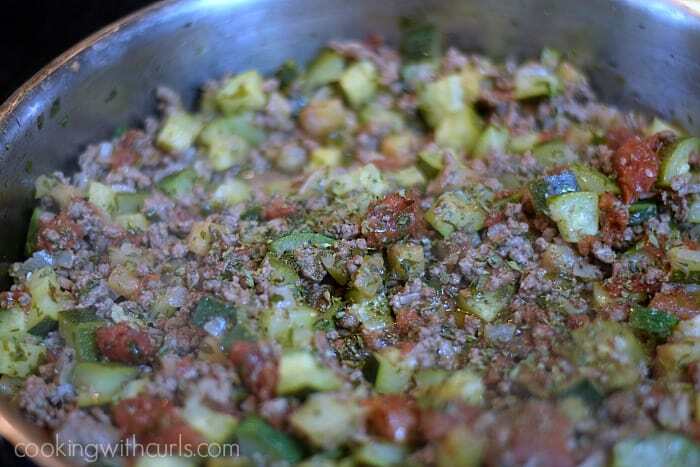 Add the zucchini, eggplant, tomatoes, parsley, salt and pepper, and stir to combine. Cover the pan and cook for 20 minutes. Stir in the oregano and coriander, cover and cook for an additional 10 minutes. Remove pan from heat. Mixture should be relatively dry. Drain remaining liquid. Stir in the grated cheese, and set aside. 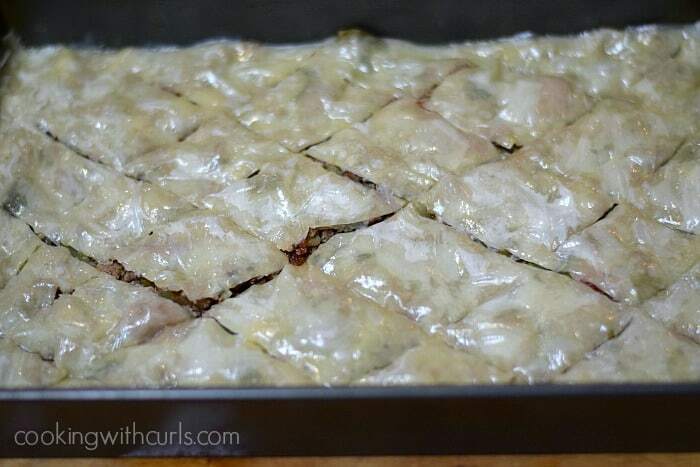 Butter the bottom of a 9 x 13 pan and begin layering 6 layers of filo dough, buttering each layer as you go. Spread the filling over the filo dough, and top with remaining filo dough, again buttering between each layer. 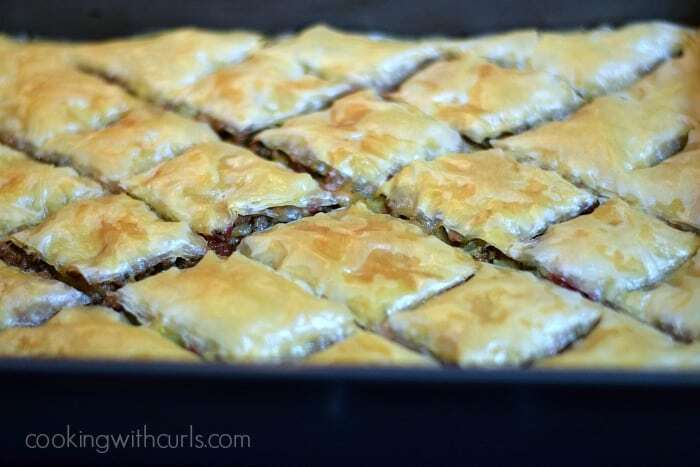 Score the top few layers of filo dough into 9 squares. You don't need to cut all the way through to the bottom. 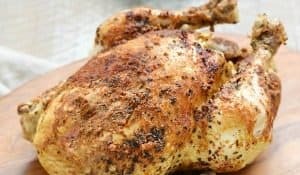 Bake for 35 to 40 minutes, until golden brown and crispy. Getting laughed at in the wine store sounds like something that would happen to me:) Looks delicious… the color on the top is just gorgeous! Thanks for the tutorial. 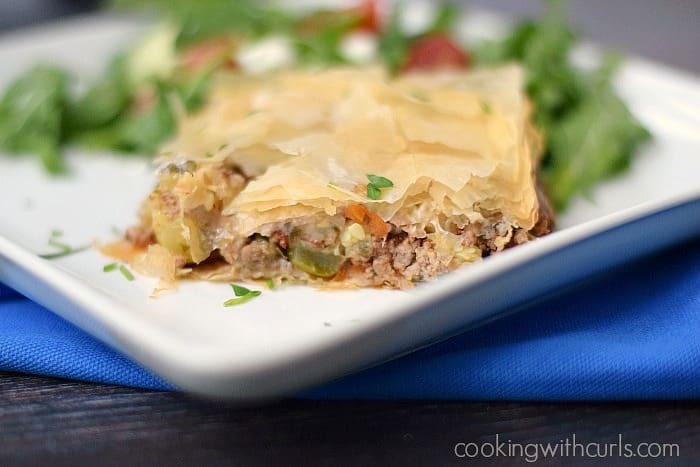 It looks like a really yummy recipe and I’m excited to get some filo and try it out. I wasn’t aware Greek cheese even existed, but I hope your lunch felt Greek enough without it.